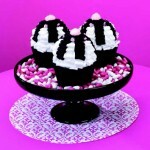 If you’re a fan of the FaveCrafts Blog, you might not be aware of our amazing email newsletter. 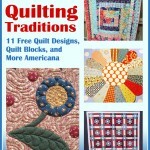 Did you know we send out 6 newsletters every week featuring cool collections of craft projects? 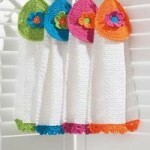 Past issues have included crochet cardigans, miniature crafts, DIY wall art, t-shirt crafting, and on and on. You can sign up to receive our free newsletter (and any of our other newsletters too–we’ve got sewing, crocheting, and even cooking newsletters to choose from!). Every day is something new! 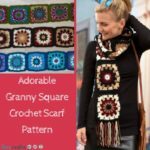 We run an all-crochet issue every Wednesday, and every Monday we send out a collection of thrifty craft ideas for penny-pinching crafters. In July, we switch to an all-Christmas issue, which we absolutely love. 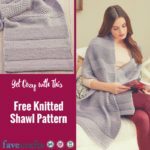 Since you love reading FaveCrafts Blog, I’m guessing you’ll love getting even more from FaveCrafts right in your inbox. Subscribe today so you won’t miss another issue–it’s free! If you subscribe today, you can get our upcoming issue featuring tours of designer craft rooms and crafty storage ideas! 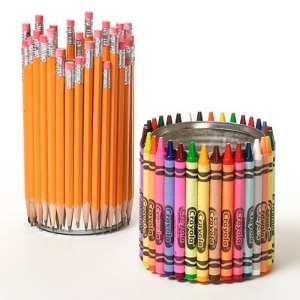 This is one of the projects we’ve included in the newsletter, the Crayon and Pencil Organizers. 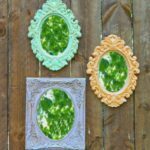 Subscribe to the newsletter and you’ll learn how to make these for your craft room. 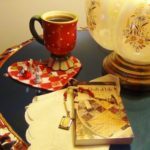 You’ll also get 56 more ideas for crafts you can make to organize and decorate your craft room, as well as 10 designer craft room virtual tours. 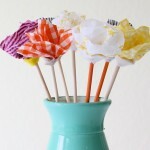 We’ve even tucked some spring cardmaking ideas and a mystery craft inside! 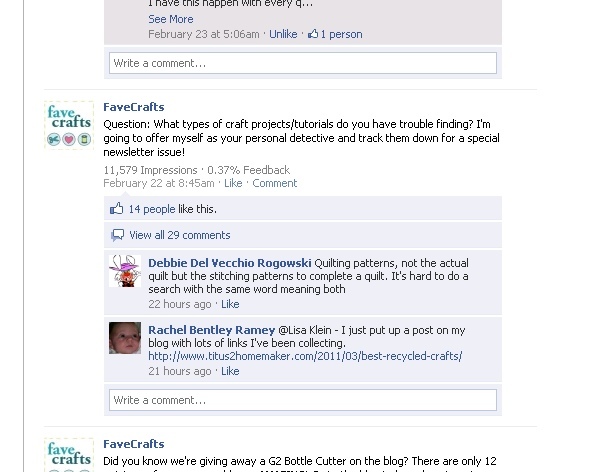 By subscribing to the FaveCrafts newsletter, you’ll also be in the know about other FaveCrafts happenings. 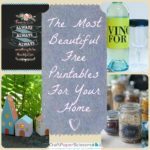 Receive updates on new giveaways and contests, be the first to know about our latest free eBooks, see what we’re pinning on Pinterest, and more! So what are you waiting for? 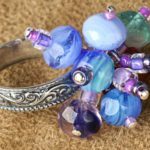 Stop by and sign up for our free crafts newsletter and begin receiving craft ideas right to your inbox! 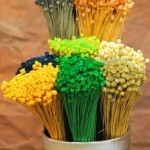 What kinds of craft projects would you like to see in an upcoming newsletter? There it is in my inbox! So exciting! I decided to be a useful editor and ask you guys what kind of projects you’d most like to see. 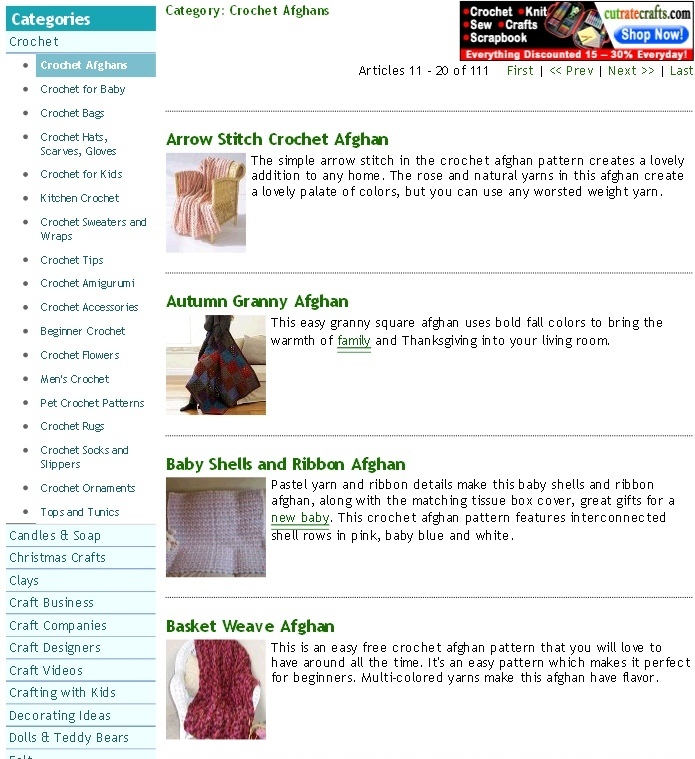 Sure, you love afghans and scarves, but you can easily search for “scarves” on the FaveCrafts homepage or visit the Crochet Afghans section on the site. 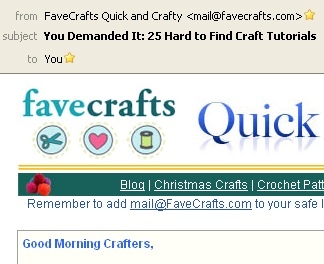 What about those projects you’re dying to make, if only you could find some instructions, and maybe a tutorial or two? Look at all of the lovely afghans to be found! 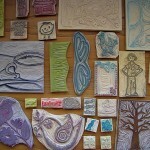 Become a Facebook fan and see the rest of the wall! Some of your requests were more difficult, so I had to search high and low to find projects. I searched Google (you should try it, it’s great! ), I asked my fellow editors, and I searched through craft manufacturers’ websites for projects that would fulfill your requests. 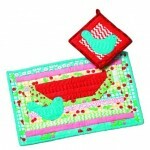 For instance, FaveCrafts loves Red Heart Yarn, which has tons of free crochet and knitting patterns on their website. Red Heart lets us publish anything we want from their site. When I was looking for crochet motifs, per Zuzi’s request, I found this Flower Squares Afghan from Red Heart. Sarah asked for easy beginner lace patterns, so I provided the Lace Capelet Knitting Pattern, also from Red Heart. I had so many requests from the awesome FaveCrafts Facebook fans that I decided to turn it into a mini-series. I will provide more hard-to-find projects next week, and again the following week, before I put my detective career into (temporary?) retirement. 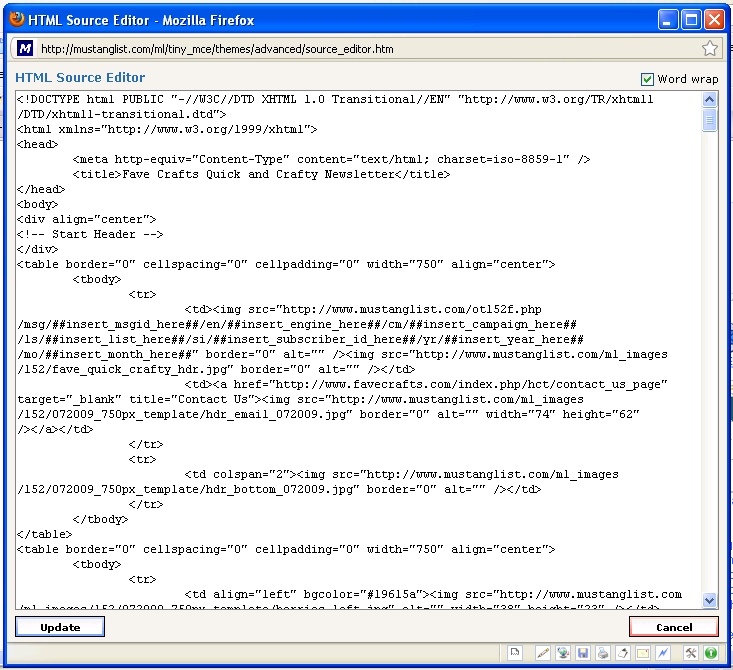 And sometimes I have to click the scary HTML icon and fix the coding. But I try to avoid that because it’s mostly Greek to me. When the newsletter is complete, I send it on to all 875,000 subscribers.